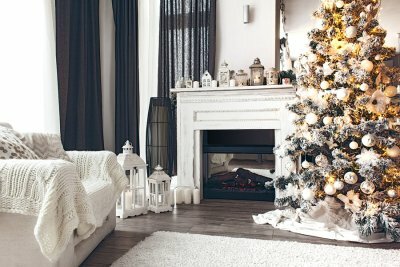 This time of year, many people turn their attention to their fireplace in San Jose and wonder what they can do to improve its appearance before holiday guests arrive. If this sounds like you, then read on to learn some things you can do to enhance your fireplace’s look. If you’re satisfied with the overall appearance of your fireplace but feel that something is missing, then getting some new fireplace accessories may be the answer. For example, switching out your old firewood basket and set of fireplace tools with newer ones in a style that matches the look of your fireplace might be a solution. Your fireplace’s mantel can do a great deal to enhance this feature in your home. However, if yours is dated or damaged, or if your fireplace has no mantel at all, then installing a new mantel offers you an excellent way to give your fireplace’s look a facelift. Fireplace mantels are available in a wide range of colors and styles, so you are sure to find one that will suit your interior décor and style of your fireplace. When there is no barrier between a home’s interior and the fireplace, this can contribute to higher energy bills as conditioned air escapes out through the chimney. For this reason, many people choose to add doors to their fireplace. However, the type of doors that you select can affect the appearance of this feature, and many people find that glass ones are a great option for enhancing the beauty of a fireplace, as well as for viewing the flames even when the doors are closed. Finally, if you believe that a new mantel, accessories, and fireplace doors won’t be enough to get your fireplace looking the way that you want it to, then consider refacing it. This method of fireplace enhancement can transform the entire look of this part of your home and can be a smart option if you want to change the style, color, or material of your fireplace facing. In winter, fireplaces are among the most loved household features for many families. Adding warmth, atmosphere, and visual beauty, it’s no wonder that many people look forward to cold weather simply for the opportunity to use their fireplace. However, more and more people are converting their old, wood-burning fireplaces to gas-burning ones. If you’re considering turning your wood-burning fireplace in San Jose into one that uses gas, but you’re worried that it won’t have the same visual effect that burning wood does, then don’t worry—our realistic, gas logs are sure to fool your holiday guests. At Wright Lighting and Fireside, we are proud to offer gas logs that are the most realistic on the market. 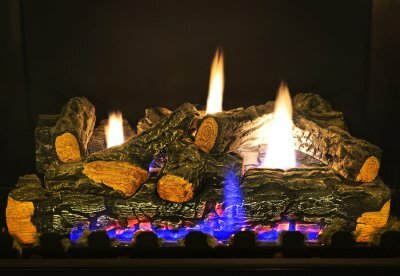 These logs are hand-cast and hand-dyed to maximize their realism, and they feature multi-point burners and glowing embers that mimic the appearance of burning wood. Wright Lighting and Fireside has provided thousands of customers with gas fireplace logs, which require no special ducting or electrical wiring and offer greater convenience and ease-of-use than traditional fireplaces. For more information about our fireplace conversion services, please visit our website. Interior lighting is one of the most essential aspects of your home’s décor, serving both functional and aesthetic purposes. If you’re planning to work with LED lighting specialists in San Jose to upgrade your home’s light fixtures, then read on for tips on lighting different rooms in your home. 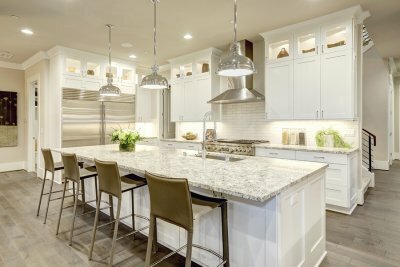 Having good lighting in your kitchen is important for showing off your cabinets and countertops, as well as for easier and more comfortable cooking and meal prep. When choosing light fixtures for your kitchen, you should aim to illuminate every area of the space, including those dark corners and the shadowed spaces over and under the cabinets. Recessed lighting is an excellent choice for kitchens because it promotes more even lighting throughout the room. Also, consider using more than one type of lighting, so that you can have brighter illumination over task areas, such as the kitchen island and stovetop, and ambient lighting for the rest of the room. The living room should be a warm, comfortable, and inviting area of the home. For this reason, you can benefit from using a variety of lights for different levels of the room. For example, you can install dimmable ceiling lights as the room’s primary light source, and then complement this with wall sconces and table lamps to create more atmosphere and diffuse lighting. Also, if you’re interested in minimizing shadows in the room, then consider installing uplights, so that some of the illumination is directed up toward the ceiling. For the space to serve your family best, the bathroom is an area of the home that requires versatile lighting. For example, bright, direct illumination is essential for many self-care and personal hygiene tasks that are performed in the bathroom. However, many people enjoy having a bathroom that doubles as a peaceful retreat in their home. For these reasons, bathrooms should have bright lighting that fully illuminates the room, as well as dimmable fixtures that can be used to create a relaxing ambiance.